Usually I just pipe onto my houses, no candy, so this was super fun to just go kinda crazy for the video. Over the years we usually make the mini “elf” houses (Gingerbread “elf” house template here) but two years ago we made this one HUGE gingerbread house that we all decorated together. It was a super fun change! BUT I think the kiddo’s like having their own mini houses better. I’m super SUPER excited about this video! It’s my FIRST youtube collaboration, it’s a pretty big deal for me and I can’t WAIT to do more collaborations. 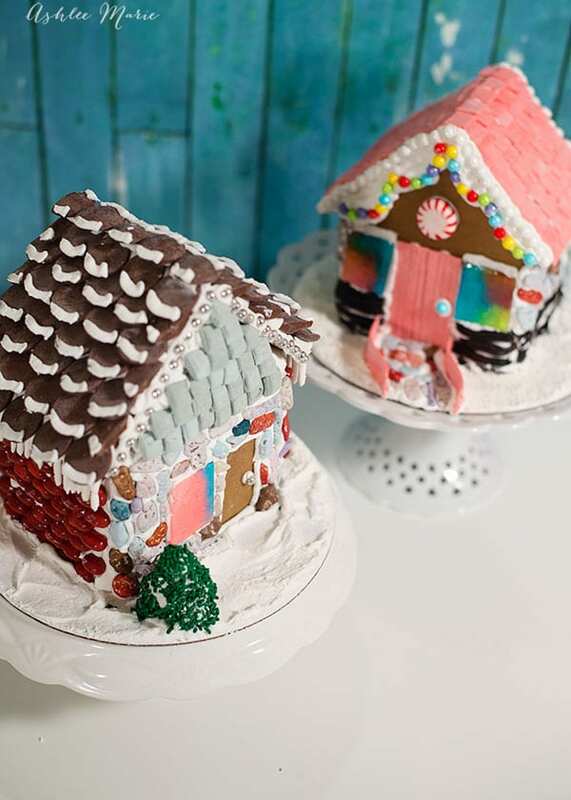 Rebecca from Pins and Things came up to my kitchen to spend the day baking and decorating these gingerbread houses. A girls day, it was a BALL. I’d LOVE to hear who you’d like to see me collaborate with next! 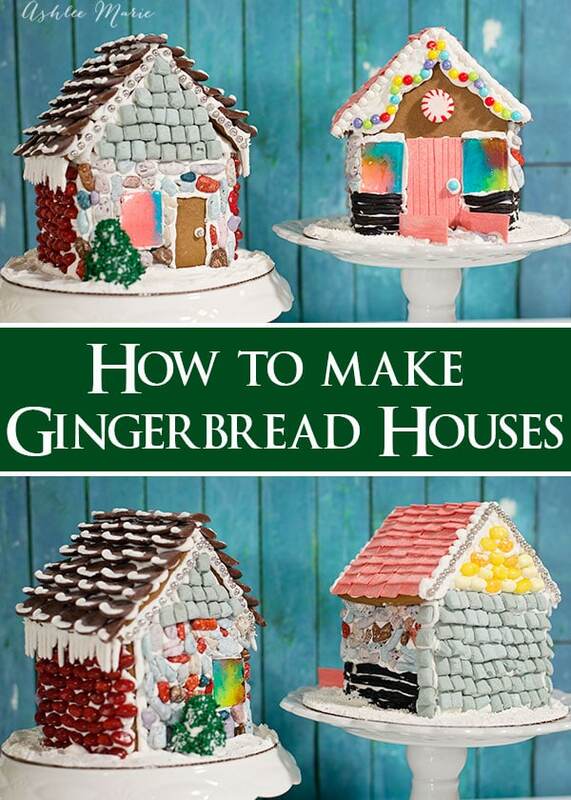 It's a yearly tradition to make gingerbread houses at christmas time - this recipe is easy to make and tastes amazing. In a mixer with whisks mix sugar, shortening and molasses until smooth. And there you have it! simple and super fun! It doesn’t get much better and who doesn’t love it! I think the adults have as much fun, if not more, than the kids most years! SO what traditions do YOU have over the holidays with family. This Cousin Christmas is one of our favorite days of the year. We decorate houses and we make TAMALES! Hi Ashlee! I’ll be starting this tradition with our grandchildren! I can’t wait! Thanks so much for the tutorial and templates. 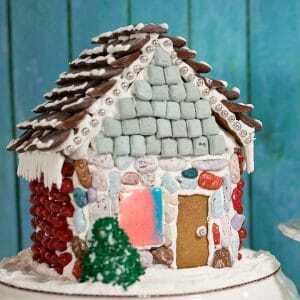 I’ve never made a gingerbread house before and am looking forward to trying it! YAY! so glad you liked it! yours looked GREAT! hope the grandbabies loved it!